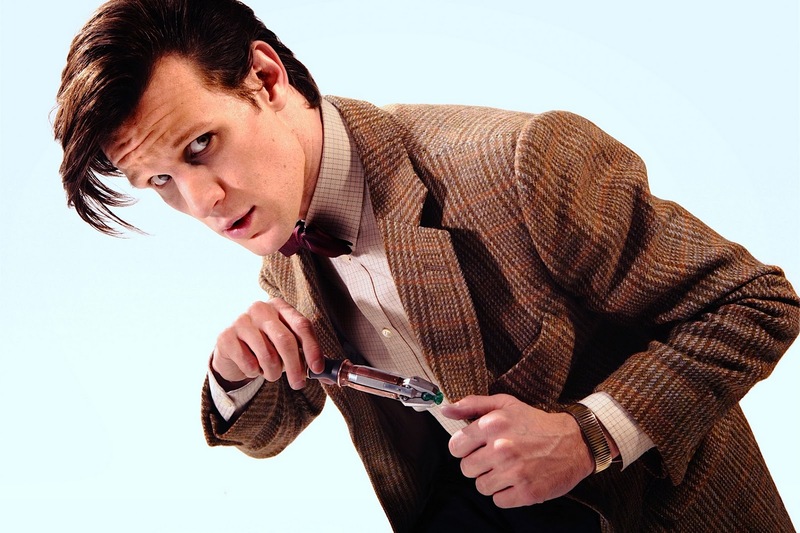 Making My 11th Doctor Costume: Biker-boy Doctor? It would appear Matt Smith is getting itchy feet when it comes to his costume. It's widely known that he had a personal input into the tweed jacket, bow tie and All Saints boots combo that kicked off his era as The Doctor. This look has been refined by veteran costume designer Barbara Kidd and further added to by Matt with his penchant for long military coats. 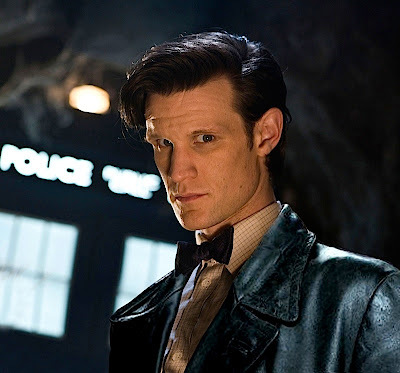 Well it seems that look was very last season and he is hinting The Doctor may find something hidden a the back of his wardrobe to refresh his appearance - leather! 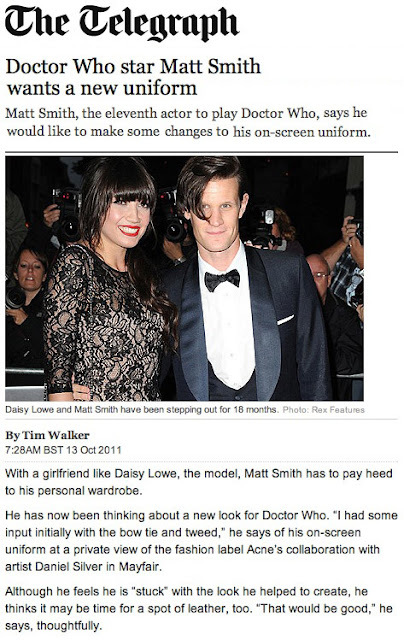 A brief interview given by Matt at a Mayfiar fashion viewing has been quoted by The Telegraph on their website. To flesh this out, Brian Terranova at Kasterborous.com has had some fun with photoshop and produced a visualisation of what could be in store next season . . . .
No, just no. It's good to think outside of the box when it comes to a costume for Doctor who but the 11th Doctor's signature look is the tweed, the bow-tie, the braces and the fez/stetson. The leather would make the rest of his costume look way to over the top.